UPDATED: Sat., Dec. 16, 2017, 10 p.m.
WASHINGTON – A deadline burst of sign-ups after a tumultuous year for the Obama health law has revealed continued demand for the program’s subsidized individual health plans. But the Affordable Care Act’s troubles aren’t over. 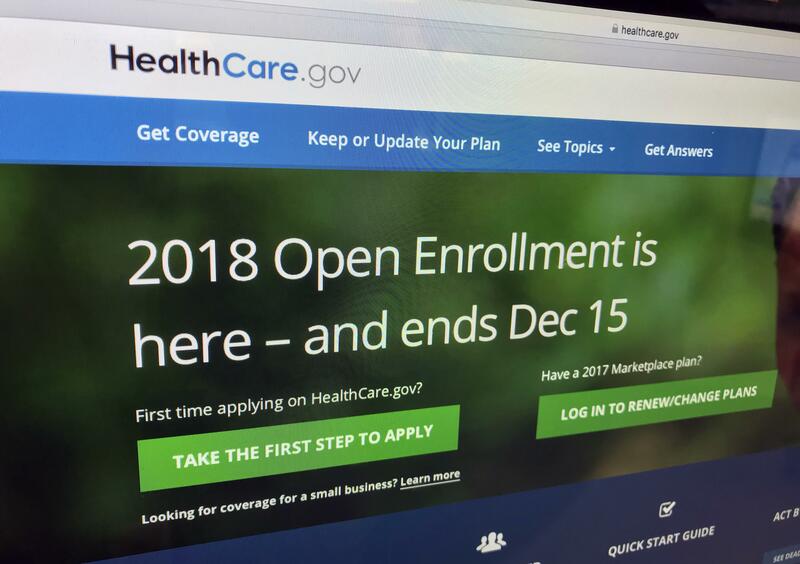 On the plus side for the overhaul, official numbers showed a sizable share of first-time customers, 36 percent, were among those rushing to finish HealthCare.gov applications in the run-up to Friday’s enrollment deadline. “People need health care, that is plain and simple,” said Kevin Watkins of Florence, Alabama. A self-employed consultant helping small businesses sell online, Watkins re-enrolled for 2018. He’ll pay under $100 a month after subsidies. Final national enrollment numbers aren’t expected until next year because some states running their own insurance websites extended sign-ups to Jan. 31. States in charge of their own programs are striving to equal last year’s enrollment. Enrollment in the 39 states served by HealthCare.gov is expected to be lower, which could intensify criticism of the Trump administration’s decision to cut the federal sign-up season in half. The administration has extended the deadline for some people to finish their health insurance: Callers to the HealthCare.gov service center on Saturday morning got a recorded message saying “don’t worry” – if they had left their phone number before the deadline, they will get a return call and still can enroll for 2018. Nationally, 12.2 million people had enrolled by the end of the Obama administration’s final sign-up period. Under Trump, there could be 1 million to 2 million fewer sign-ups, said Larry Levitt of the nonpartisan Kaiser Family Foundation. Still, it was only a year ago that the health law seemed headed for oblivion as Donald Trump swept into the White House with a Republican-controlled Congress. Now its full repeal seems to be off the table. But the program for people who don’t have job-based coverage faces the same old challenges of high premiums and declining insurer participation, along with some new ones. One new challenge comes from the GOP tax bill, which repeals the law’s requirement that people have health insurance or risk fines. Parallel to that, the administration is preparing to issue rules facilitating the sale of lower-cost insurance plans that will deliver less than the law’s “essential” benefits package. Put the combination together and experts say it will draw healthy customers away from already shaky ACA insurance markets, raising premiums for those left behind and giving insurers new reasons to drop out. The law’s supporters were still upbeat as the shortened open enrollment season in most states wound down. It was Trump who most notably predicted a spectacular collapse for the law. “It’s imploding, and soon will explode, and it’s not going to be pretty,” he said this year. After a repeal failed in Congress, Trump stopped payments to reimburse insurers for subsidizing copayments and deductibles, thereby boosting premiums. His administration also cut the federal open enrollment season in half, slashed the ad budget and pulled back money for counselors who help people sign up. But as premiums increased, financial assistance also went up for those eligible. Under the law, their premiums are limited to a percentage of household income, so those who qualify for help are cushioned from premium spikes. Instead, the full impact of rising premiums hit an estimated 8 million to 9 million people who buy individual health plans but aren’t eligible for income-based assistance. The Denver-area resident, who’s in her 50s and doesn’t have coverage through her job in client relations for a startup, said she’s seen premiums as high as $1,400 a month. Ongoing turmoil will translate to demands for Congress to act. But with lawmakers divided by party and faction, it’s not certain what can be done. Pending legislation could have contradictory consequences. Many experts believe the GOP tax bill’s repeal of the insurance mandate will undermine markets by giving healthy people an out. But other measures would tend to stabilize insurance markets. One is a bipartisan Senate bill that would restore insurer subsidies cut by Trump. The other proposals would provide money to help insurers cover the care of high-cost patients. Meanwhile, one of the most visible symbols of the health law seems to be doing just fine. Once prone to crash, the HealthCare.gov website has been humming along amid the crush of deadline week sign-ups, according to a performance analysis by the technology firm Catchpoint for the Associated Press. “It’s like an e-commerce website on Black Friday,” said Catchpoint CEO Mehdi Daoudi. Published: Dec. 16, 2017, 8:45 a.m. Updated: Dec. 16, 2017, 10 p.m.